Doing this “I bake…you donate” schtick for awhile, I have heard some heart-wrenching stories of battles fought and lost, as well as stories of amazing resilience, bravery and hell bent determination to fight and win. I’ve heard people tell their stories with bits of humor here and there but none have had me belly laughing. Until this book! 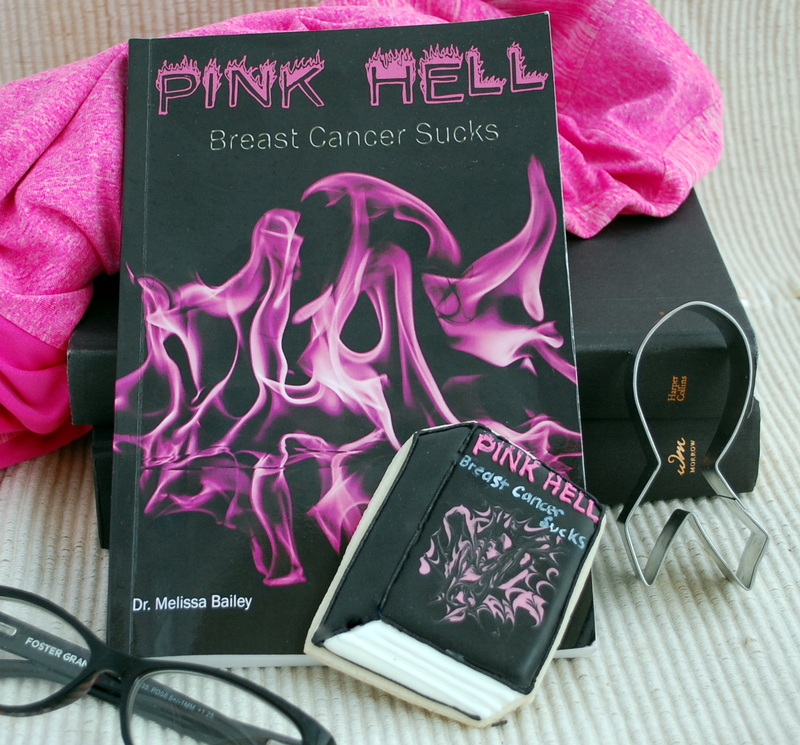 Dr. Melissa Bailey was diagnosed with a unique form of breast cancer at the ago of 40. Metaplastic Breast Cancer occurs in less than one percent of all breast cancer cases so there’s no exact plan on how to attack. This book makes me want to hang with Dr. Bailey every day because if she’s this hilarious while fighting for her life, she’s got to be even MORE hilarious in every day, cancer-free life. I highly recommend “Pink Hell”, you will NOT be disappointed!